Following on from last week’s Word Health Organization (WHO) report on glyphosate, which confirmed the world’s most used herbicide probably causes cancer, Sustainable Pulse has discovered documents from 1991 that show how the U.S. Environmental Protection Agency (EPA) themselves were fully aware of glyphosate’s carcinogenic potential. On February 11, 1985 the carcinogenic potential of glyphosate was first considered by an EPA panel, called the Toxicology Branch Ad Hoc Committee. The Committee, in a consensus review dated March 4, 1985, then classified glyphosate as a Class C Carcinogen. A Class C Carcinogen has ”Suggestive evidence of carcinogenic potential” according to the EPA. This Class C classification was changed by the EPA six years later to a Class E category which suggests “evidence of non-carcinogenicity for humans”. Mysteriously this change in glyphosate’s classification occurred during the same period that Monsanto was developing its first Roundup-Ready (glyphosate-resistant) GM Crops. 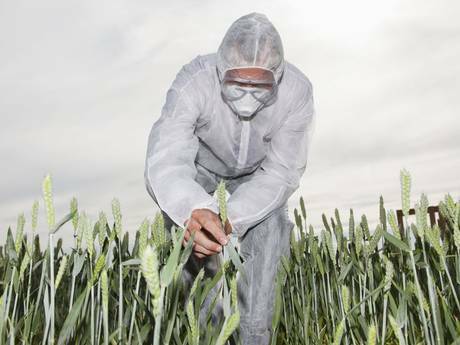 It is now 2015 and WHO has put glyphosate’s cancer causing ability back in the spotlight. The question is who is to blame for this shocking lack of protection for public health? The answer is the U.S. government, who have pushed glyphosate around the World as part of their campaign to support the U.S. biotech industry in their attempt to dominate global agriculture. The thirty-year glyphosate cancer cover up will go down in history as yet another failure, by the U.S. government, the EPA and worldwide regulators, to put the health of the general public before the need to protect and expand company profits.